Computrols’ Strategic Partnerships Manager, Mike Clayton, recently lead our second CBAS Level I training of the year for Computrols’ customers and distribution partners. 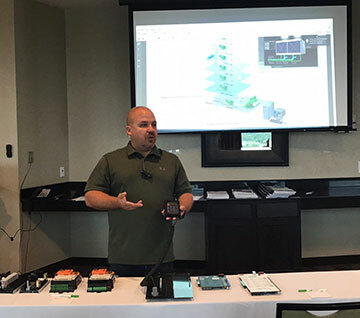 Participants received basic training on Computrols Building Automation Software including a thorough review of the various modes, database structure, navigation, and reporting capabilities. Clayton also brought in Computrols hardware for his trainees to get some hands-on experience with controllers. At the end of the course, the attendees all participated in a competition in which they were all given issues to solve in a live system. 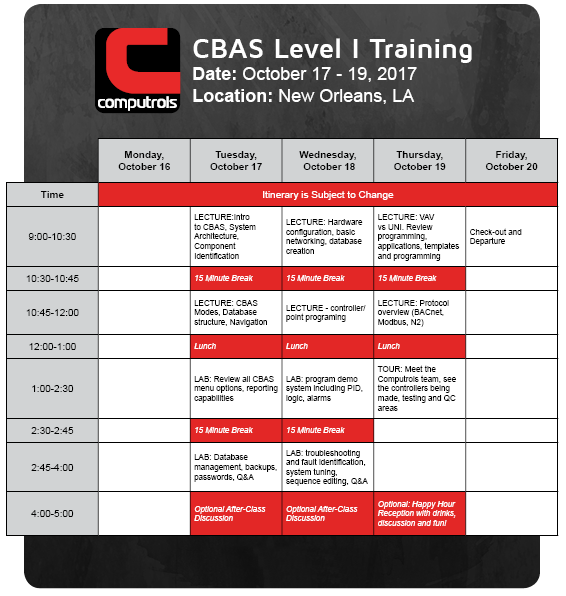 Clayton will be leading Computrols’ next CBAS Level I Training on October 17-19, 2017. If you would like to participate, please contact your Computrols representative or call 504-529-1413.